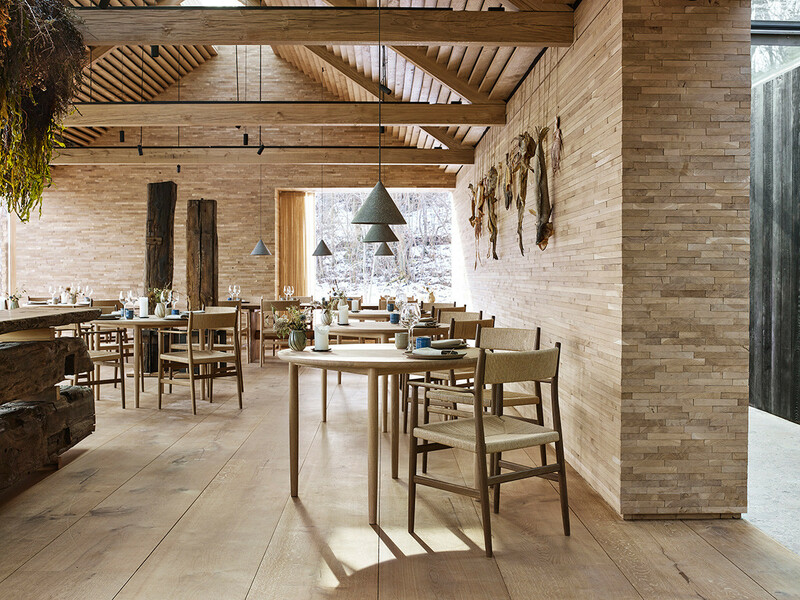 When noma head chef René Redzepi decided to relocate the two-Michelin starred restaurant to a brand-new location, he called upon designer David Thulstrup and Brdr. Krüger to create a bespoke collection of furniture for the space. 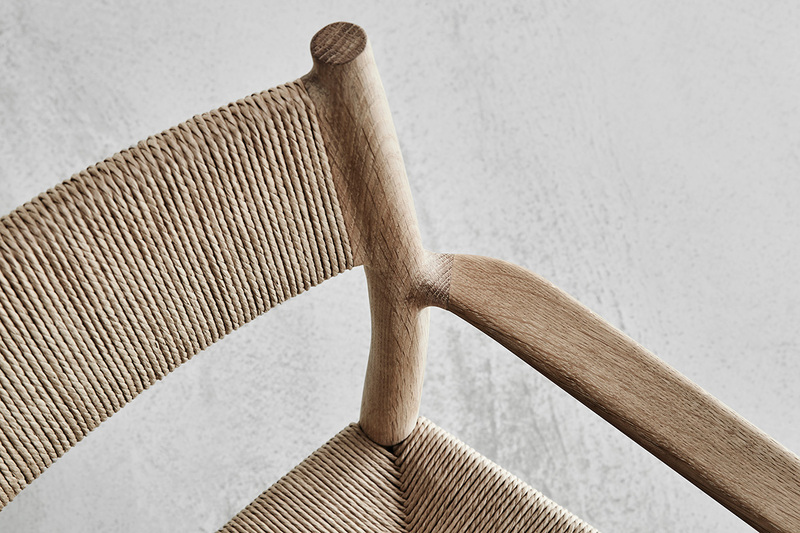 Reflecting noma’s close connection to nature with curved forms and the use of natural materials - the ARV collection is contemporary in design and references traditional Danish craftsmanship though complex joinery and handwoven details. We talked to Jonas Krüger, creative director of Brdr. Krüger about the creative process behind such a collaboration and what it was like to work alongside some of Denmark’s most creative voices. Could you tell us a little bit about the history behind Brdr. Krüger? 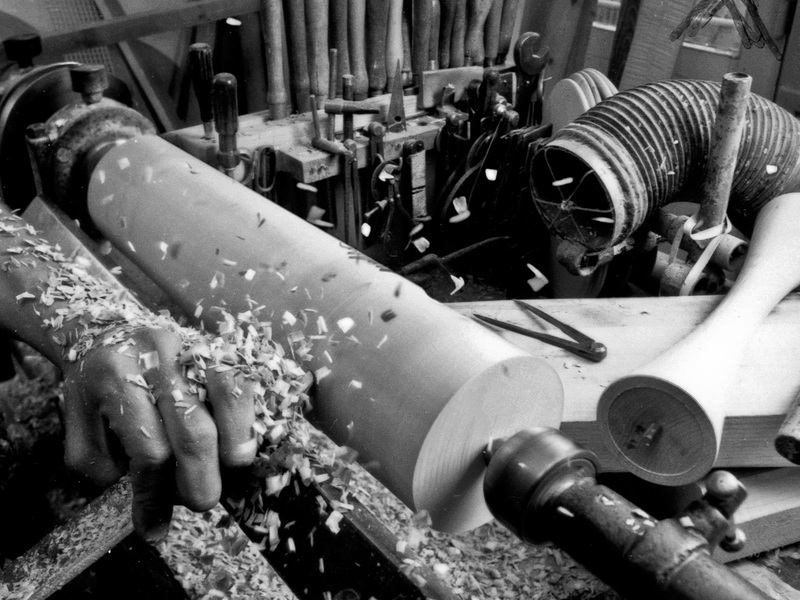 We started out as woodturning specialists 131 years ago in the centre of Copenhagen. We were founded by two brothers, Theodor and Ferdinand. That’s why our name is ‘Brother’s Krüger’ in Danish. Myself and my sister are now in charge of the company - together we are the 5th generation. I think what is different in our generation is that we are not trained wood craftsmen, we actually had the choice of trying out other professions. That’s a luxury that previous generations didn’t have. We’ve been outside of the four walls of the workshop and seen other parts of the world and we bring a new perspective to a traditional business, to traditional crafts. We keep on nurturing those values of quality and craftsmanship but bring a new perspective to what you can do with it, in terms of design and reaching out in the world. What sets Brdr. Krüger apart from other design brands? I think there are good producers and very good design firms out there but most design brands these days have outsourced their production. We’d like to make that connection between craft and design even stronger and I think that might be what makes us a little different. That’s where we see our strength, we’re part of every product that goes out the door. 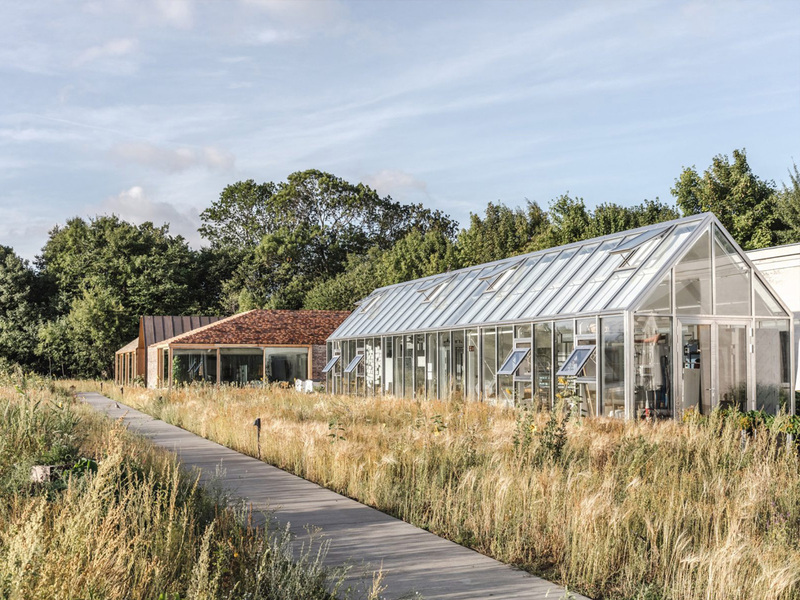 As one of the world’s best-known restaurants, it must have been exciting to work in collaboration with noma 2.0. What was it like to collaborate with René Redzepi and David Thulstrup? I’ve been a big fan of noma since their early days, I’ve been following their work and been lucky enough to eat there a couple of times as well. I think they’ve lifted the Danish kitchen to a whole new standard. They’ve done so much and it’s not only about the food, it’s an identity. We’re really big fans, so to get that chance to work so closely with them has just been amazing. I couldn’t ask for a better project. We had quite a big team, many chefs in the kitchen you could say. You had René and his trustees from noma - René is very good, he’s very strong conceptually, he knows what he wants and he’s very good at articulating it. And then you have David who can translate this into shapes and form and then we come into the picture with how to create the solutions – so you can actually have a chair that you can sit on and resists gravity. There were a lot of people with strong opinions in their own fields, but it was quite a smooth process in terms of people knowing how to suggest solutions to create synergy and not conflict. I think that synergy is what makes this work. I think that’s how most great things are done, it’s when everything becomes more than the sum of its parts. 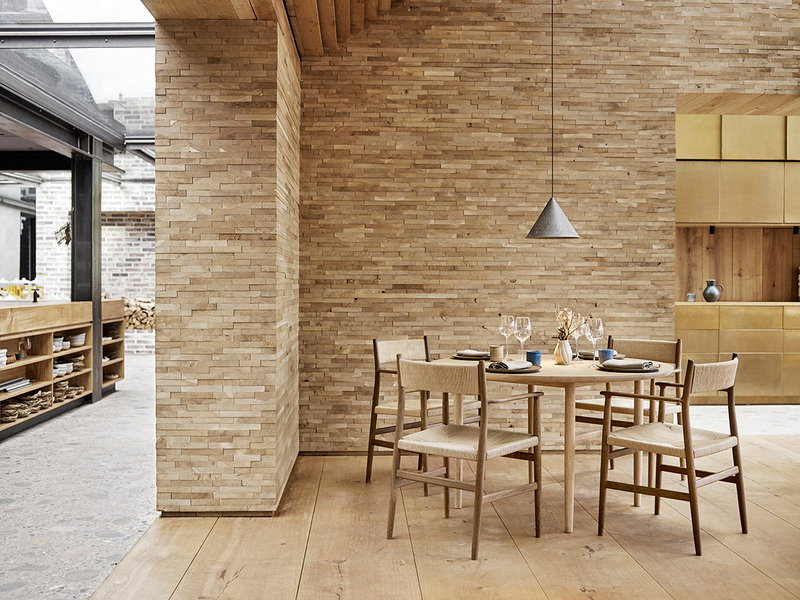 noma has relocated to the Christiania district of Copenhagen. Image credit - Dezeen. How did the journey of the ARV collection begin? A big focus for René and David was to find the right dining chair as it’s such a centre point in the restaurant. 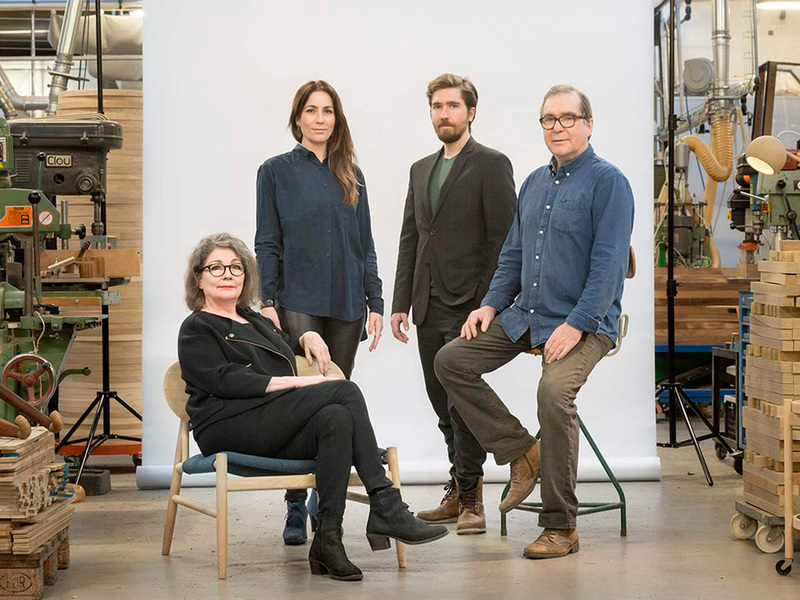 They tried numerous chairs and didn’t find a perfect match to suit their vision - in terms of comfort, size, functionality and very much of course, in terms of aesthetics and what fits into the noma storyline. And none of them matched 100%. That’s when they called us and of course, when we heard that it was noma and David, there was no way we could refuse. So that’s how it all came together. They involved us because of our skills, will to experiment and ability to deliver. With an especially short timeframe from the commission to completion, what were the challenges you faced in creating such a bespoke design? I think just the workload. There is no perfect time to do a project like this, a massive project in a short timeframe but somehow, we managed. In terms of quality and pioneering spirit, these are the guys you want to work with, so we made time. The first task was to make the first prototype, we had about a week to do that and this was the first milestone where they had to either choose this path of the unknown with a design that wasn’t fully developed or design something on the market already with that lead time. We convinced them that it was going to be a sturdy chair, a comfortable chair and made a prototype that they were very happy with - and then it was just full on from there. Could you explain the concept behind the design of the ARV collection? I think that noma is very much about seasonality and a close connection with nature. It’s a big part of their storytelling when they serve your food and the furniture had to reflect this as well. So, the joinery and the way that the wood is shaped and curved is inspired by nature, almost like branches growing from a tree. The materiality, everything in it is so honest and that reflects their values as well. Noma’s ingredients are not often luxurious, but they make their food exquisite and create a new type of luxury based on simple materials. 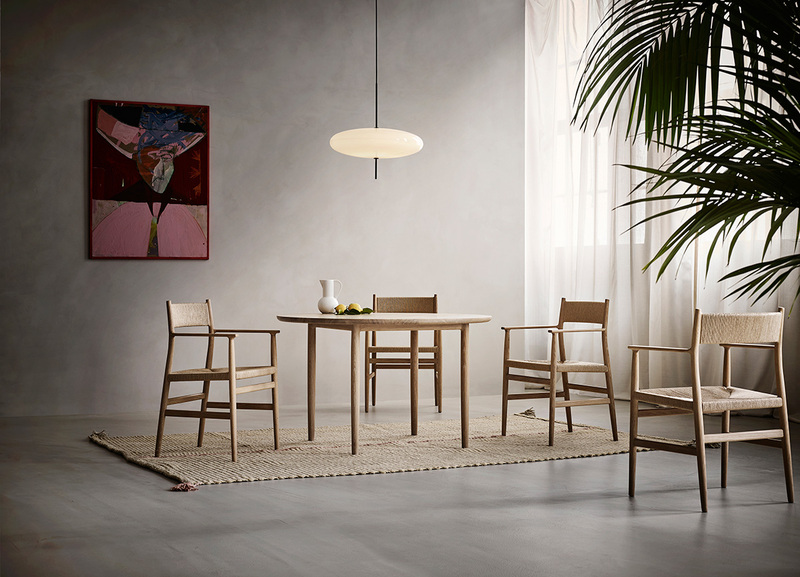 It was actually René’s idea to use the Danish paper cord on the back which I think was a very interesting touch – I haven’t seen that on any other chair. Everything that he suggests has a reason, for him it was about the craftsmanship coming even further through, and also creating contrast with materials. 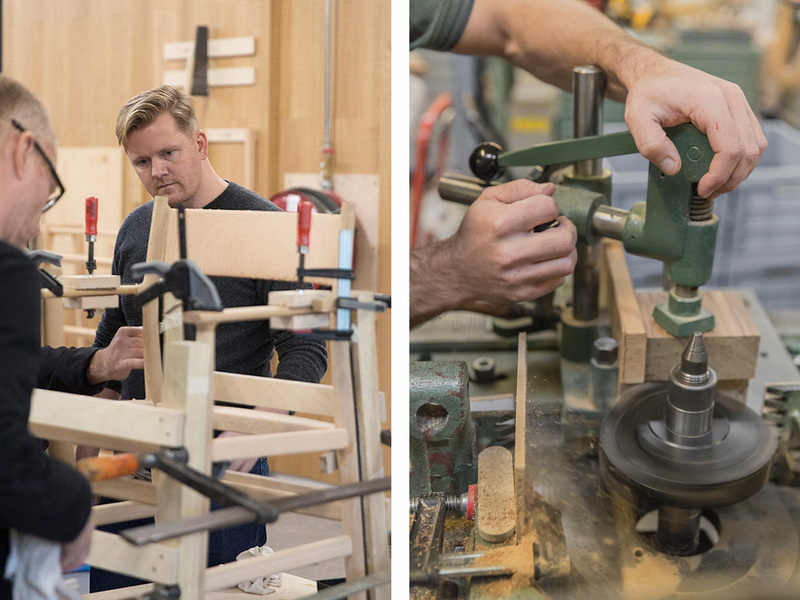 ‘ARV’ means heritage in Danish – when creating a piece of contemporary furniture, how do you incorporate this idea of heritage? I think that there is a familiarity to the design, it feels like it is part of a Danish heritage but at the same time it stands out and it's different. I think it’s a fine balance, building on something that has some kind of cultural past, that we feel comfort with but still to challenge that comfort with something that is in our time, that didn’t belong to the 50s. But also, the balance of not creating something that is in fashion - it should still be relevant in the future. Of course, there’s no guarantee for that but we want to make sustainable furniture for generations to come. What can we expect from Brdr. Krüger in the future? We’re a new company in a way even though we’re very old. We’re new in the way that we’re developing new furniture that crosses this bridge between the past and the future. You can definitely expect more exciting pieces of furniture and also pieces that even cross the border between art and design. We’re going to keep on playing and keep on making pieces that are different - we’re building our own little brand universe. For me, it’s exciting to see this materialise. Inspired by what you see? 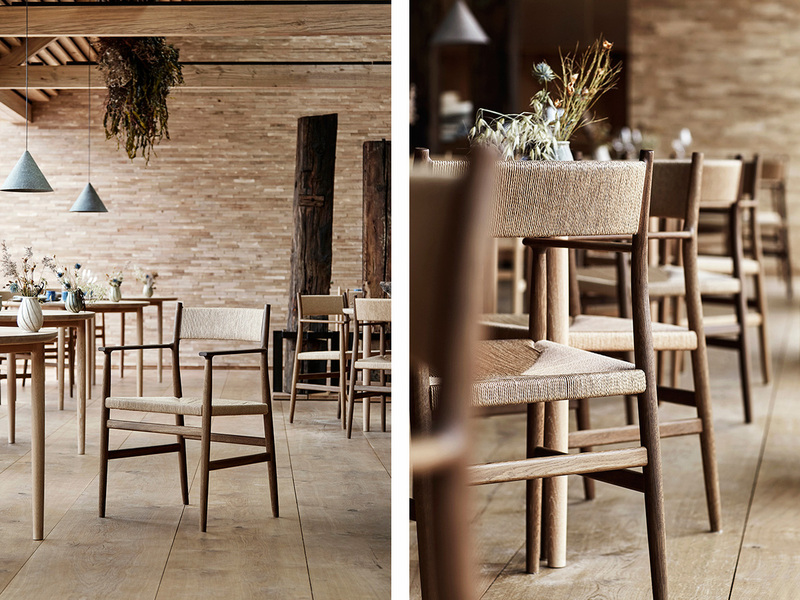 You can visit noma in Copenhagen for yourself by reserving a table here. Discover the full ARV collection below.